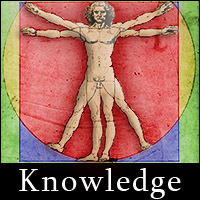 Knowledge, education, and innovation are essential to the progress of science, technology, and other disciplines. Society benefits in so many ways when more people are educated, and when more opportunities for sharing knowledge and innovating new ideas are encouraged. Asking questions is almost always a better choice than making assumptions. When we question, we are either challenging a claim or a fact with the intention of either gaining or sharing knowledge. Although knowledge is transparent, we also use it as our guide in almost everything we do, which is why it is so important. In 399 BCE, Socrates of Athens, as part of his attempt to convince the authorities not to sentence him to death for his skepticism (he convinced roughly two fifths), submitted that "The oracle called me wise because I am the only man who realizes how little he knows." This compelling insight about Socrates, because of who he was, shows those less knowledgeable of us that discouragement or feelings of shame in the context of seeking more knowledge should always be discredited, for the world benefitted because he was not afraid to question. Children have a natural curiosity that is really just a strong desire to learn; most children ask more questions than most philosophers, and sometimes these questions rival what even the most brilliant of philosophers tire over for decades or even centuries to figure out how to ask; their questions are almost always in a direct, basic, pure form (due to having fewer biases), and are often essential to making sense of the world as they perceive it. As it is our nature, as a species, to question things in our never-ending quest for knowledge, it is essential to our survival that we strive to ask more intelligent questions for the purpose of more effectively gaining corrective or additional knowledge and insight.